The engineering team at DuroPC has developed, tested, qualified and deployed a new system offering a high quantity of PCIe slots while adding extreme flexibility and substantial cost reduction. 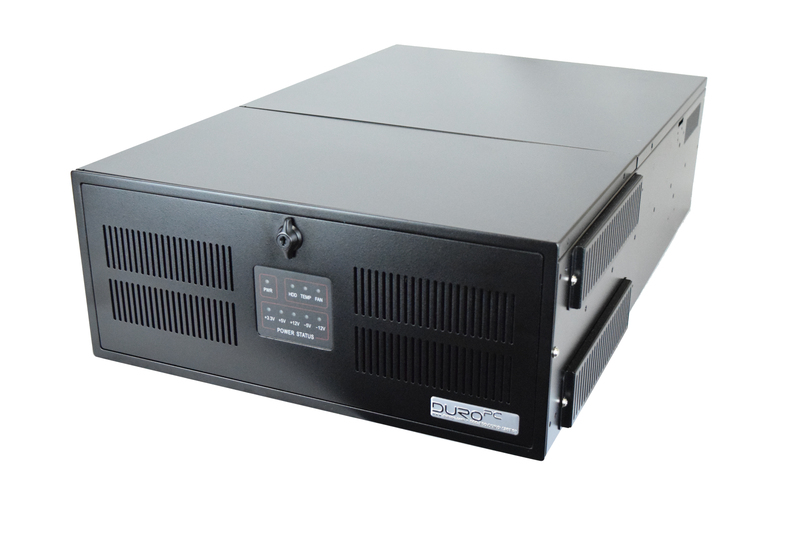 Leading supplier to the automated test equipment (ATE) market, DuroPC has developed industrial computers capable of enumerating a large number of PCI devices in support of a Tier 1 Defense Contracting Company. 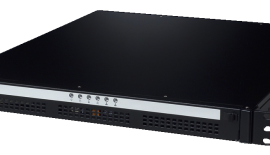 A custom solution has been deployed to the public (including customized BIOS) based on DuroPC’s RAC419, a commercial off the shelf (COTS), 4U rackmount computer with 5x PCIex8 (3.0), 11x PCIex4 (3.0) expansion. 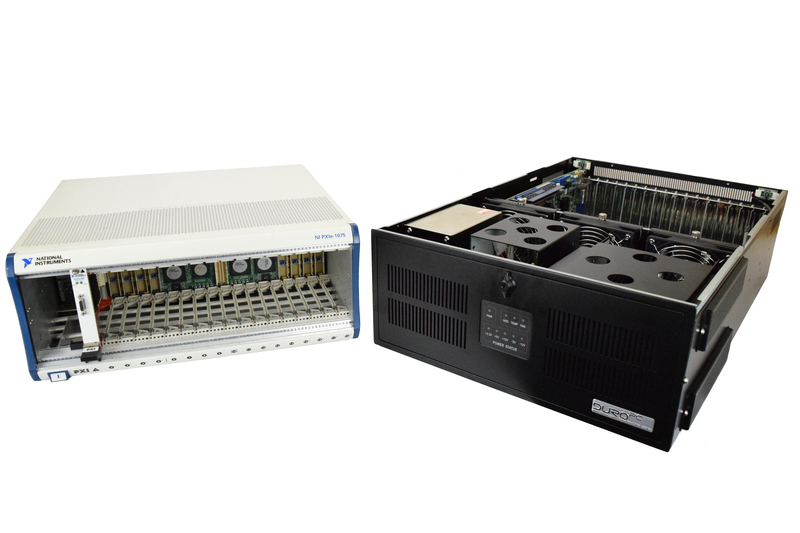 The RAC419 provides enough PCI device enumeration to control remote National Instruments PXI Express expansion chassis using an MXI-Express interface card while hosting a fully populated, conventional PCIe backplane (see Figure 1 and Figure 2). Supporting Core-I processors up to dual XEON configurations with up to 24 processing cores, these robust systems also offer huge data storage capacity options (hundreds of terabytes (TB)). The flexibility and cost-savings the RAC419 provides is un-paralleled. DuroPC is now offering this technology to the open market on the company’s website: www.DuroPC.com (see Figure 3). Now designers of ATE systems can leverage the advantages of National Instruments PXI and PXI Express expansion systems and reduce cost while using conventional COTS computer interface cards; Ethernet, Serial (RS232, RS422, RS485), CAN, IRIG, 1553, ARINC 429, Reflective Memory, Graphical Processing Units (GPUs), USB, WiFi, etc. at a very affordable price. Consolidating control and processing in the DuroPC creates the opportunity to combine VME, VXI, PXI, PXI Express and PMC in one system, clock and controller (see Figure 4). This means that DuroPC offers a path to avoid pitfalls of obsolescence issues associated with legacy controllers that are no longer available (ie. VXI). Call DuroPC @ 888-760-3876 to discuss your application; we are eager to support your team! 5. Combine VME, VXI, PXI and PXI Express, PMC in one system, clock and controller. 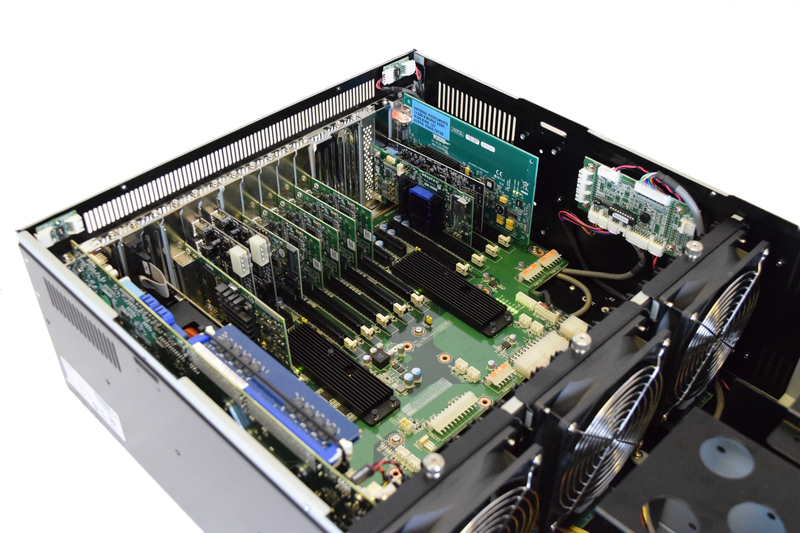 Figure 1: Inside view of DuroPC’s RAC419 with MXI-Express interface card and fully populated, conventional PCIe backplane. 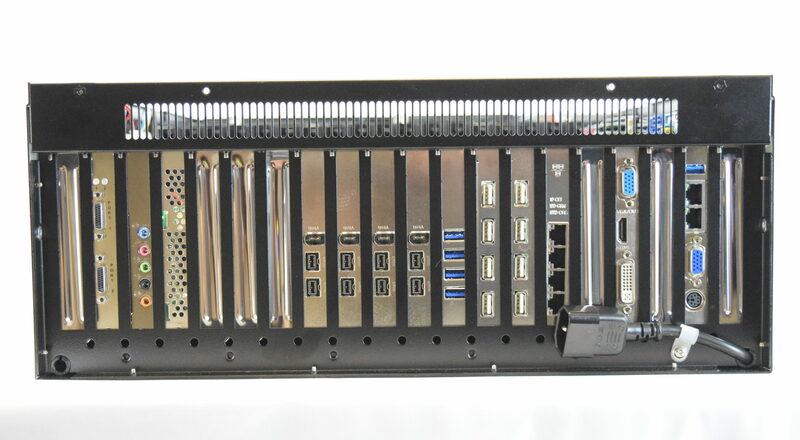 Figure 2: DuroPC’s RAC419 with MXI-Express interface card and fully populated, conventional PCIe backplane (rear view). 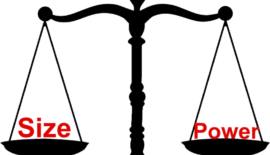 Figure 3: Review the RAC419 at www.DuroPC.com. Figure 4: The RAC419 has been tested with National Instruments PXI Express System using MXI- Express Interface.